We have exciting news! Landau Building Company was selected to build Southern Tier Brewery’s new Brew Pub and outdoor Bier Garden on the North Shore! Its location between PNC Park and Heinz Field makes it perfect for game days, so be sure to check it out later this summer! North Shore has rapidly become a major hot spot in Pittsburgh, and Landau is excited to be part of its growth. Fukui Architects is the architect on this project. The brew pub and beer garden will feature a full menu as well exclusive and classic Southern Tier brews. Construction will begin in May and will finish by August 2016. 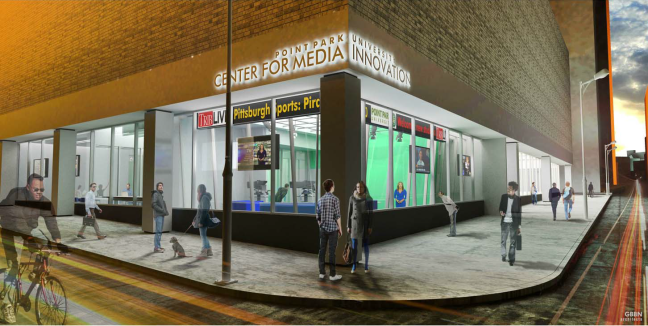 Landau Building Company was awarded Point Park University’s Center for Media Innovation, located on the corner of Wood Street and Third Avenue in downtown Pittsburgh. This 4,000 SF center will include television and broadcast studios, a multimedia newsroom, a photo studio, transformation presentation space, and gallery space. The center will have floor-to-ceiling glass walls and a digital ticker reminiscent of a New York City-style media hub. Pittsburgh-based GBBN Architects are the designers. The students of the School of Communications will be offered hands-on experience and collaboration with professors. They will also have the opportunity to work with industry professionals to become leaders in media innovation. The new center is made possible in part by a grant from the Allegheny Foundation and sponsored by Trib Total Media. Richard Scaife, late owner of Trib Total Media, was committed to journalism’s role in society and wanted to find a way to build journalism through education, according to Matt Groll, who succeeded Scaife’s place as chairman of the Allegheny Foundation. To read Point Park University’s press release, click here. Anticipated completion is set for June 2016. Landau recently completed renovations to Christ Church Fox Chapel, transforming a confined, narrow space into an open and inviting community area. Christ Church Fox Chapel was previously the Gould family mansion and was converted into a church during the 1940s. Therefore, the overall goal was to maintain the traditional architecture, like modeling the doors and columns after the original design. Superintendent Jeff Miazgowicz spent extra time crafting new paneling for the columns himself, knowing how important it was to the church. 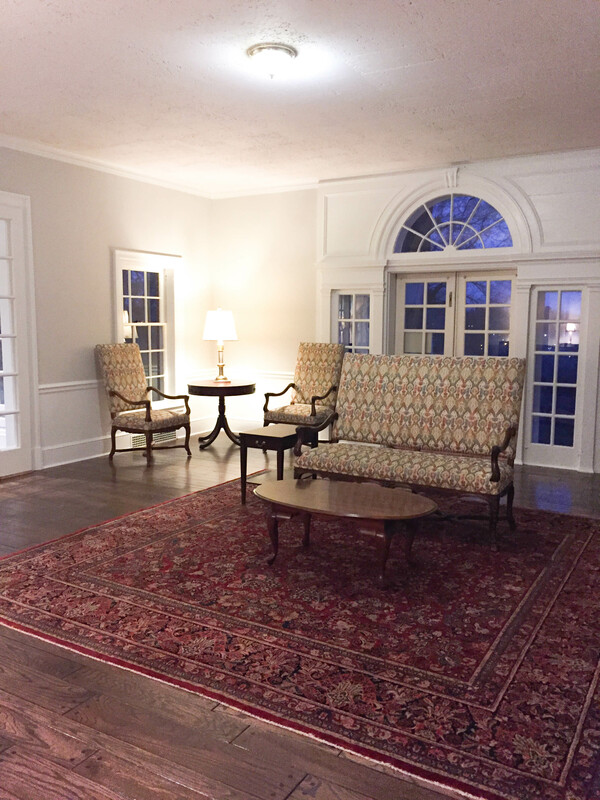 The original parlors were converted into one large social area, complete with piano and electric fireplace. A men’s restroom, which was previously located in the adjacent building, was created from an old office and closet space, and the ladies room was updated as well. 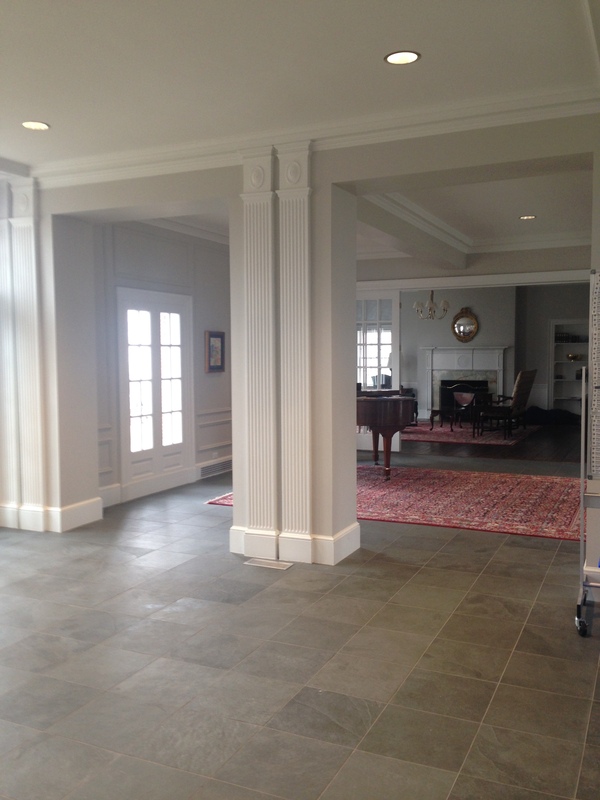 The walls were given a fresh coat of paint, and gray slate tile replaced the warped hardwood. 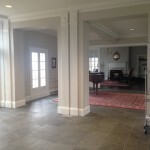 Coincidently, the original blueprints from the 1940’s called for gray slate flooring, so it was extra special to the church that they could afford it now. The back walkway a nd terrace were rebuilt to level out the ground and to make those doors handicap-accessible. The space is completely transformed, creating new energy and optimism, and we couldn’t be more proud of our work here. A special thank you to Courtney Myhrum, a church member who volunteered her time as project manager for the church. We enjoyed working with Courtney, Reverend Alex Shuttleworth, and everyone at Christ Church, and we hope to work with them again in the future. TribLive published a great article about this project, which you can read here. This past June, we lost a talented architect and dear friend, Paul Slowik, to cancer. He ran a successful architectural firm, Paul Slowik & Associates, and he was an active member of the Passavant Hospital Foundation. Paul’s father actually designed the original Passavant Hospital building in 1964, so the Foundation was close to his heart. Paul was Chairperson of the Foundation’s Legacy of Caring Awards, which honors the individuals who make Passavant Hospital grow and thrive. 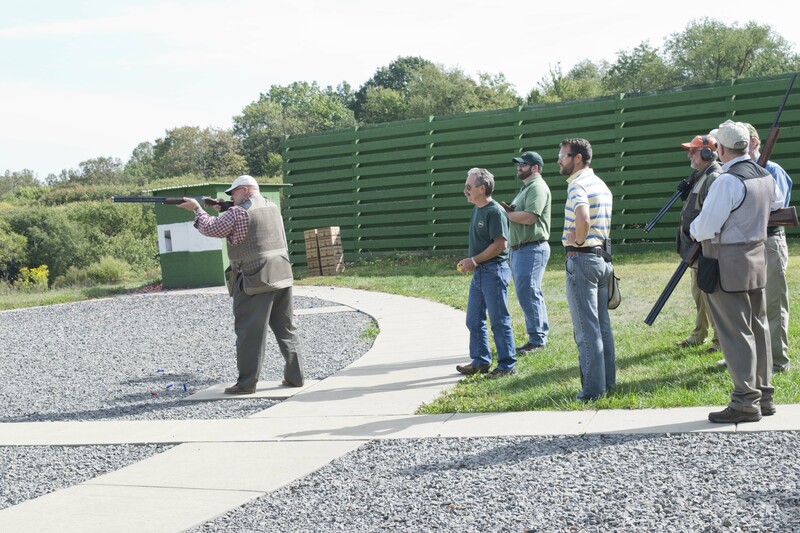 This year we decided to make our annual customer appreciation shoot the Paul Slowik Memorial Shoot, partnering with the Passavant Hospital Foundation to transform it into a charity event. We worked closely with Paul’s wife, Joyce, every step of the way. Paul and Joyce’s family came into town specially for the event, including son Bill and his wife Barb, daughter Stefany and her fiancee Broox, and even Bill’s in-laws and childhood friend Mike Taylor. 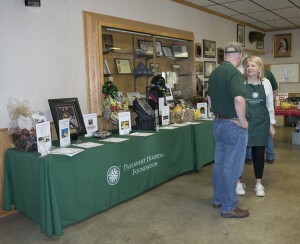 Because of everyone’s generosity and hard work, we were able to raise $18,500 for the Passavant Hospital Foundation. Landau Building Company, represented by Jeff Landau, Sharon Landau, and Steve Bishop, presented the check at the Foundation’s Legacy of Caring Gala on October 8th. Paul Slowik was honored this year for his contributions over the years and for his dedication to the Foundation. Schooley’s article highlighted the family and business timeline. 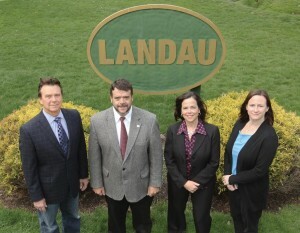 Landau has a long history in the construction industry of Pittsburgh, beginning with Henrich and his sons in the late 1800s. His three sons, Jacob, Fred, and Albert, formalized the family’s work and incorporated it as Landau Brothers Construction Company, with Jacob as the first president. The company continued to grow and secured its place as a respectable member of the construction region, as demonstrated through long ties with the Master Builders’ Association of Western Pennsylvania. 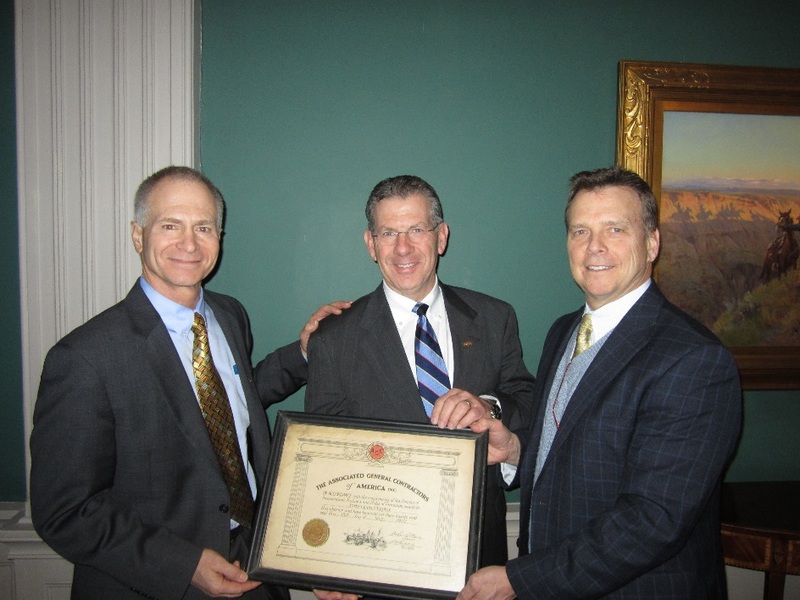 As mentioned in a previous news post, CEO Tom Landau discovered the original 1922 MBA charter certificate from the MBA, as his family has also been active on the MBA board for generations. “It shows you how much influence of how much of a long-standing relationship they have with us that they could hold on to important documents like that,” O’Brien said to Schooley. When Tom’s father Roy was president, Landau was known mainly for retail building, like Kroger, A&P, and Shop ‘N Save; before that, his grandfather focused on interior build-outs for offices. 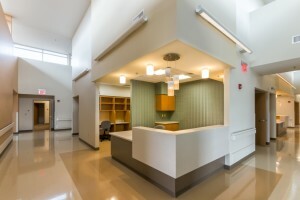 More recently, as Landau grew under Tom and Jeff’s presidencies, the company developed a solid reputation for work in healthcare and higher education, as well as commercial and community buildings. 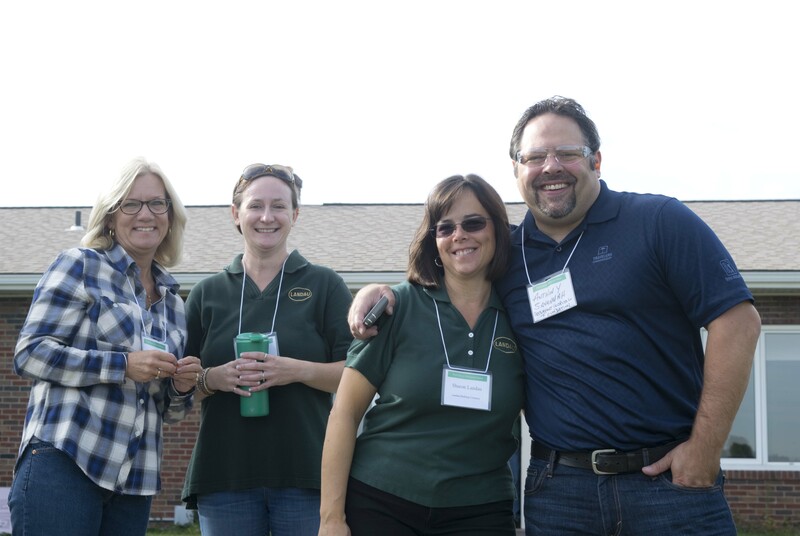 The current generation of Landaus in the business are siblings: Tom, CEO and past president; Jeff, President; and Sharon, Marketing Director who is also a trained architect. Joining them is Tom’s daughter-in-law Jen, a Project Manager who has also worked in various positions throughout the company. Like any small, family-run business, Landau has struggled to balance family ownership with bringing in outside talent, but, as Jen reasoned in the article, being a family-run business is what resonates with the employees. 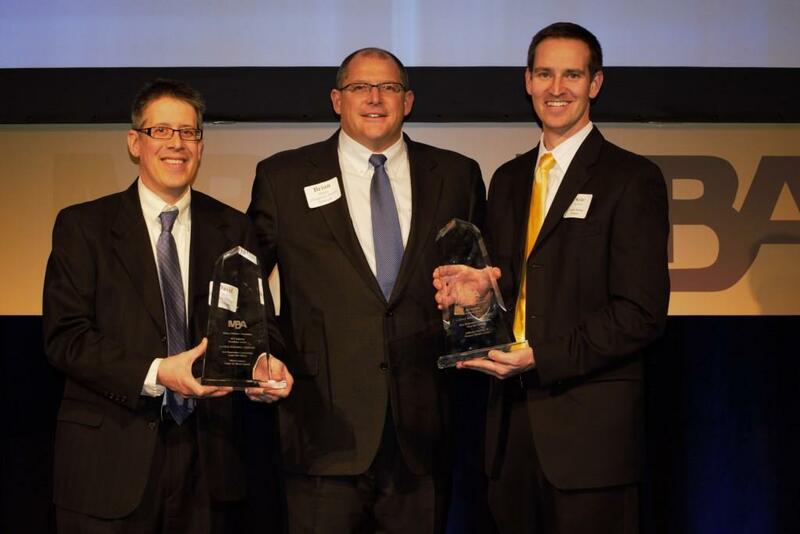 Whatever the case, Landau is proud to be recognized for its family values and growing success throughout the Pittsburgh region. 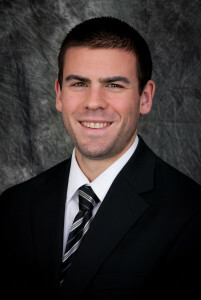 Landau Building Company would li ke to welcome back Mike Bartoldi as Project Engineer. Mike worked for Landau from 2012-2014, and he is returning to our team. He graduated from Penn State University in 2012 with a B.S. in Structural Design and Construction Engineering Technology. His responsibilities as a project engineer include submittals, scheduling, and coordination with project managers and superintendents. 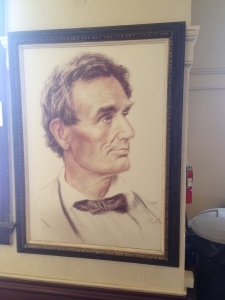 Landau’s CEO and former MBA president Tom Landau recently made an interesting discovery while cleaning out his attic. Tom came across the MBA’s original Association of General Contractors (AGC) charter certificate from 1922. The Landaus have been members of the MBA for many years, and several individuals have served as president. 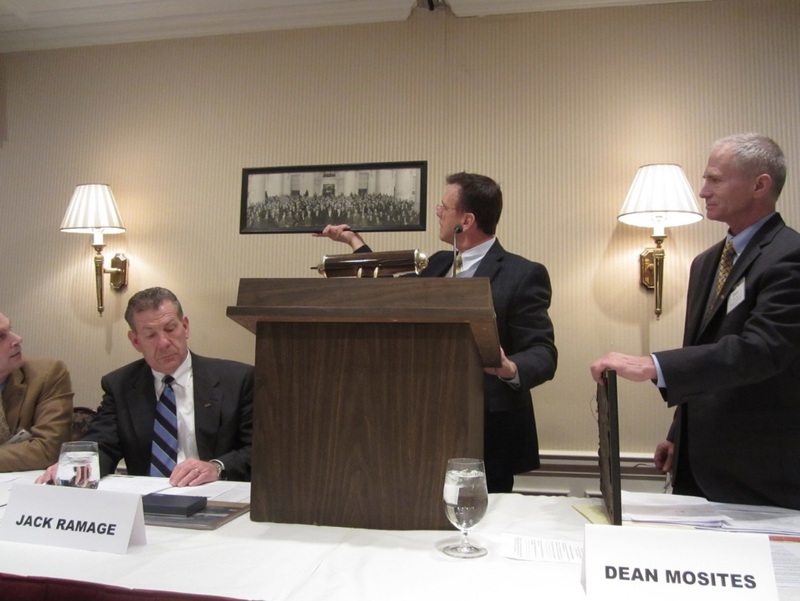 During the January 16th MBA Regular Membership Business Meeting, Tom returned the certificate to the MBA, giving a special presentation about the discovery and revealing another great piece of history as well. In addition to the charter, Tom found a photograph from the very first AGC national convention. The picture shows attendees and spouses on the White House lawn, with President Calvin Coolidge standing front and center! According to MBA meeting minutes, Jacob Landau, Tom’s great-grandfather and former member of the MBA Board of Directors, attended the first AGC national convention and reported back that it was a great event. 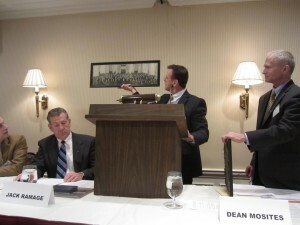 At this convention, he attended a seminar devoted to the need to repeal the multiple prime delivery system law, which was in effect in every state across the country. The mention of this seminar being held almost a hundred years ago is quite ironic given that the MBA participated in a seminar on this exact topic in 2015. 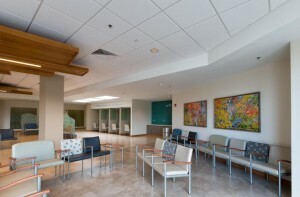 Marks-Landau Construction recently completed United Hospital Center’s Bruce Carter United Orthopaedic and Spine Center. The $15 million dollar project encompasses 57,000 SF and was completed in less than twelve months. Marks-Landau president Jeff Landau presented UHC CEO Michael Tillman with a customized plaque to commemorate the event at the ribbon cutting ceremony held on April 2nd. The new Center combines the Orthopaedics, Neurosurgery, Pain Management, Spine Care, and Rehabilitation departments into one main building, which allows for better communication between departments and specialists. It also includes two hundred rooms and a therapy pool. United Hospital Center requested that the new building match the existing hospital facade, so careful attention to detail was required when selecting the brick. Mock-ups of the facade were fashioned and approved by the owners. The HVAC system was highly specialized, and a new program was written in order for it to operate successfully. Project Manager Jeremy Bowlby and Project Engineer Doug Brenneman worked closely with architects Gresham, Smith & Partners and UHC to complete a beautiful project under budget and on time. 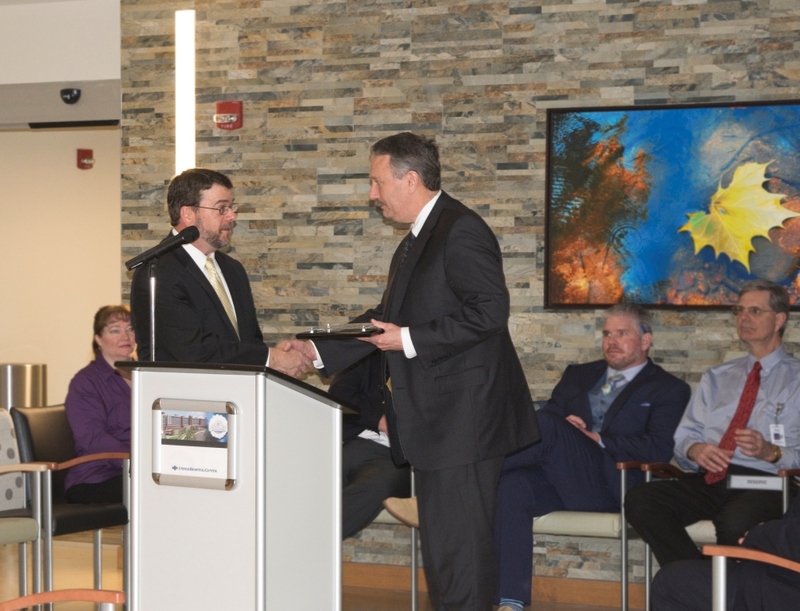 Recently, Marks-Landau was awarded additional work at UHC and will renovate the Physician’s Office Building fourth floor. 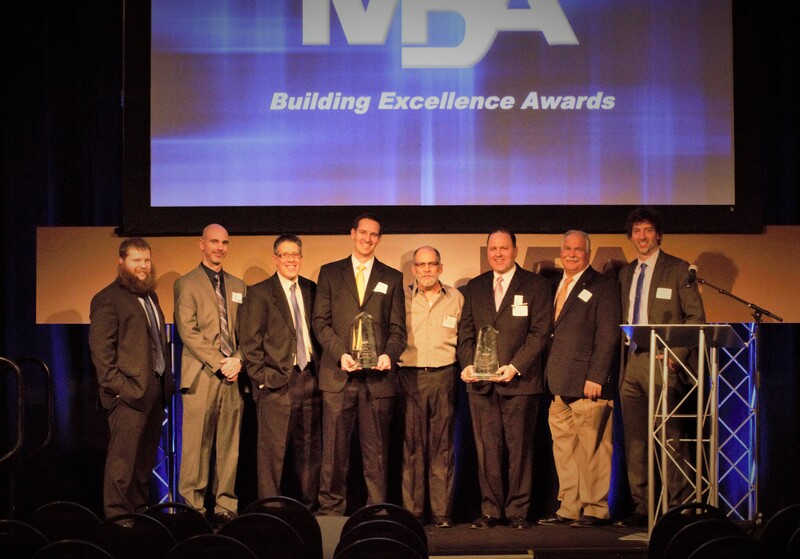 Landau Building Company is the winner of two crystals from the 2014 MBA Building Excellence Awards! 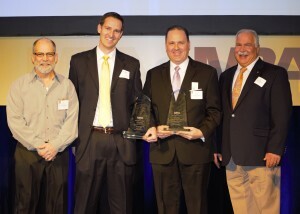 This is the first time Landau has taken home two awards in one year, and we couldn’t be more proud of our team. 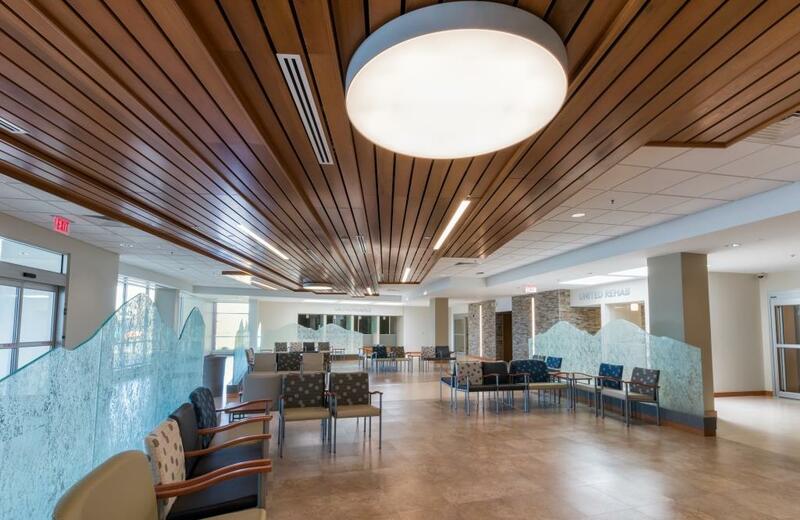 The Jefferson Oncology and Women’s Health Centers won for Best Project over $10 million, and the Mario Lemieux Center for Blood Cancers won for Best Project under $10 million. 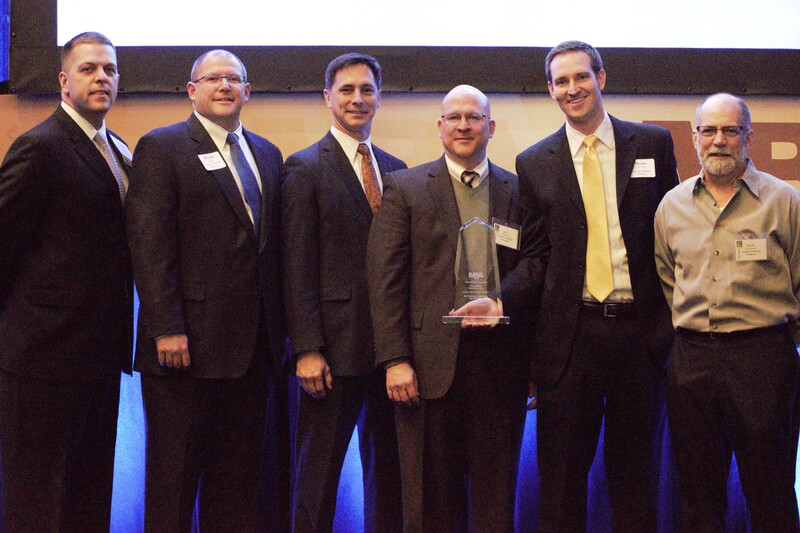 Project Manager Skylar Van Soest and Superintendent Keith Kalmbach, who worked on both projects, accepted the awards on Landau’s behalf, along with architect David Wells from Radelet McCarthy Polletta and representatives from the owners. 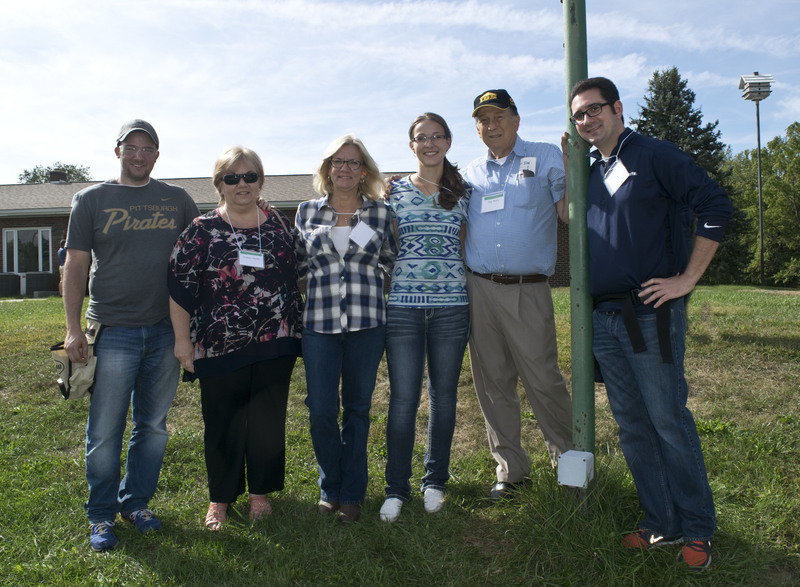 Our other superintendents on the job were Emory Lukacs, Dave Prata, Jonathan Muzina, and Larry Massung. 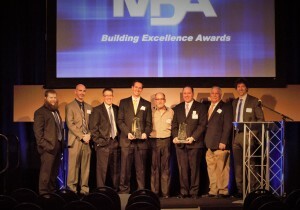 The Evening of Excellence is one of the biggest construction industry events of the year, and it did not disappoint. More than 1,000 professionals attended the event at Heinz Field to honor or be honored by the MBA. The Trib Total Media wrote a great article about the event, featuring the “big winners” of the night. You can read the article here: http://bit.ly/1wEIcyc. 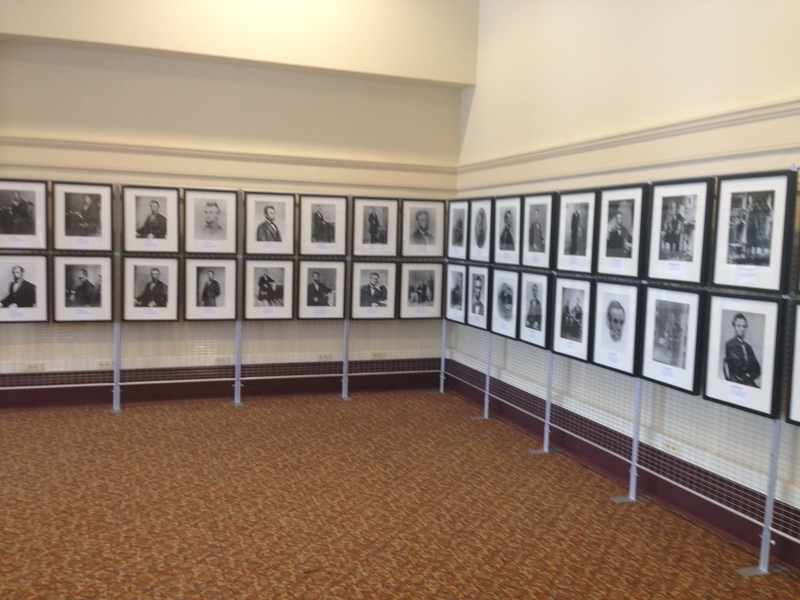 The Andrew Carnegie Free Library and Music Hall is opening a new permanent exhibit featuring 100 portraits of Abraham Lincoln taken from 1847 – 1865. 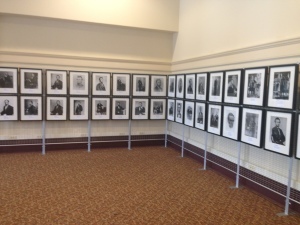 The exhibit commemorates the 150th anniversary of the end of the Civil War and Lincoln’s death. 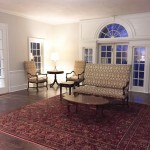 They were first shown five years ago after the Captain Epsy Civil War Room was restored – by Landau Building Company. The Captain Epsy Post is an actual location where Civil War veterans would meet during the early 20th century to house their collection of flags, books, prints and relics. The Lincoln Gallery opened February 16th and will be open to visitors during regular library hours at no cost. The Captain Epsy Civil War Room is open from 11 a.m. to 3 p.m. on Saturdays.